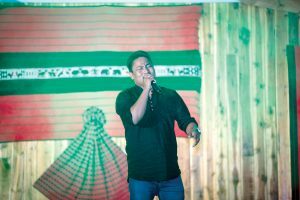 NK Naga is a musician from Nagaland who started singing at the age of 9. He decided to audition for a show called ‘The Beat of Heart – Geet Zindagi Ki’ in 2017 where he was declared as the winner. In 2018 too, Naga participated in the Bengali Semi Classical Song competition, and took its 1st runner-up prize. In both the competitions, Naga was the lone participant from Nagaland. He credits his parents for what he has achieved today. He spoke of having been greatly influenced by singers like Kumar Sanu, Vinod Rathore and Udit Naraya to name a few. NK Naga focuses mostly on Hindi songs. He has so far released two originals while five more projects are said to be in the making. Eastern Mirror: To start with, tell us something about yourself. 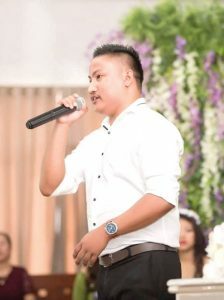 NK Naga: Hi, my Name is NK Naga and a singer by profession. I’ve done my high school from Carmel higher secondary school, and cleared B.A from Eastern Christian College. Eastern Mirror: Tell us a bit about your journey into music. What got you into it? 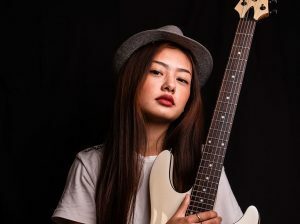 NK Naga: I started my musical journey at the age of nine and the inspiration behind my life in music is my mom and dad who were musicians. My dad was a drummer and mom was active in solo, choirs; and playing the guitar. NK Naga: Seasons of Music Tunes and singers like Kumar Sanu, Vinod Rathore, Udit Naraya etc. They all are my influence in my journey and career. Eastern Mirror: How was your journey in being a part of “The Beat of Heart – Geet Zindagi Ki’ (2017) and Bengali song competition? 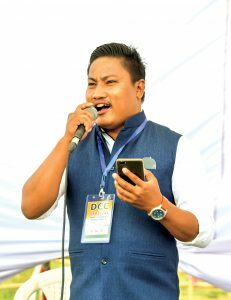 NK Naga: Contests like ‘The Beat of Heart – Geet Zindagi Ki’ were tough and bold, as singers from north-eastern states were competitive and soulful; they were dedicated to music. Winning the show was an answer to my prayers. Altogether 80 contestants were selected out of thousands and I was the lone contestant from Nagaland. It was fun and I got the chance to experience and learn so many things. To me, the Bengali Semi Classical Song competition was the toughest and hardest platform I’ve ever experienced as so many well-trained classical students were a part of the competition. And once again, I was the lone contestant from Nagaland. But despite all, the journey was a memorable and challenging one. Eastern Mirror: What is your opinion about the present music scenario in the state? NK Naga: As an artist, it’s very much difficult to step forward and achieve fame. According to me, the Hornbill Festival is one stage where lucky artists can get the chance to perform and promote themselves while the rest are still working on it. Eastern Mirror: Which audience was the best that you have performed for so far? NK Naga: The best audience I’ve performed so far was at Guwahati, and at Rahul Gandhi’s rally in Dimapur. Eastern Mirror: How many originals have you released so far? NK Naga: As of now I’ve released only two originals. Five projects are on the move. Eastern Mirror: If given a chance to collaborate with an artist, who would you choose and why? NK Naga: If I had given a chance to collaborate with an artist I would go for Alobo Naga because he is natural, a motivator for young artists and a dedicated music lover. Eastern Mirror: If you didn’t become a musician, what might you have been doing now? NK Naga: If I weren’t a musician I guess I would be a social activist as my friends always says, ‘buddy you know how to convince people politely’ and all my families and relatives insist me to speak on behalf. Eastern Mirror: If you had one message to give to your friends, what would that be? NK Naga: Dear friends, your support will not go in vain. Eastern Mirror: Any tips to those who wish to participate and win music competitive events? NK Naga: Yes. If you’re ready for yourself then nothing can drag you. Commit and gear up, your every step will be a golden step.